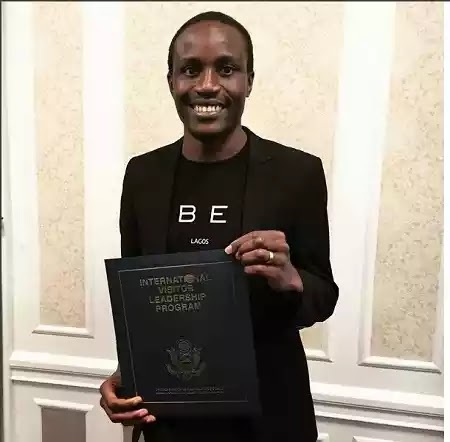 Award-winning journalist Tolu Ogunlesi has dismissed allegations that he wrote the article which described ex-president Dr. Goodluck Jonathan as ‘an ineffectual buffoon’. Since the article emerged in The Economist which called Goodluck Jonathan “an ineffectual buffoon who let politicians and their cronies fill their pockets with impunity”, many Nigerians have tried to link the article to Nigerian writers with some strongly believing it was wtitten by columnist, Tolu Ogunlesi. However, in a series of tweets, Tolu Ogunlesi has dissociated himself from the said article. “I’m surprised and amused by the allegations that I wrote or contributed to the Economist ‘ineffectual buffoon’ piece. I did not. While flattered to be associated with the Economist, whose literary style I immensely admire, I cannot claim ANY credit for that piece. I am not and have never been one to be anonymous when making journalistic comments about people. I do not hide behind anonymity. I will be sending a letter to the online publication that fabricated the allegation, asking for a retraction and a public apology.